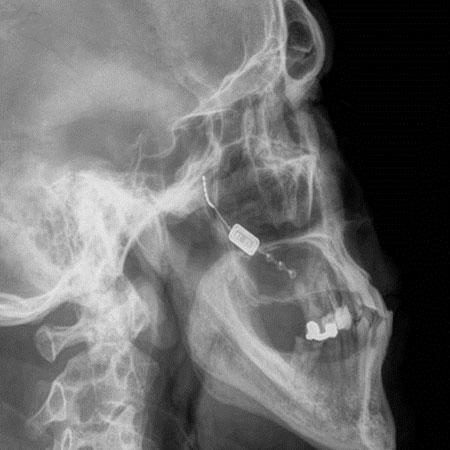 This device is implanted under the cheek of a headache patient. A remote control held by the patient can trigger a slight electric charge to stop a cluster or migraine headache. Most sufferers of brutal migraine and cluster headaches are all too familiar with the warning signs of an approaching attack, but a California biotech company says it has created a device that can potentially stop the crippling pain as easily as flicking a switch. Developed by Autonomic Technologies Inc., the therapy has successfully completed a trial of its technology on European patients with cluster headaches, also known as “suicide” headaches, the Redwood City, Calif., company said Tuesday. The same device is being trialed for use on migraine headache patients in Europe, and the company plans to offer it for patients suffering from cluster and migraine headaches in the United States, too. During trials of the device in Europe, 67 percent of cluster headache patients were relieved of pain within 15 minutes – a far cry from hours or days some people suffer from cluster headaches, which are more severe than migraine headaches. “It’s amazing,” said Dr. Frank Papay, a facial doctor at the Cleveland Clinic who developed the surgical technique to implant the device. Changes in most patients were remarkable, he said. The device’s electrical stimulation technology evolved out of the Cleveland Clinic’s research in deep-brain stimulation to treat Parkinson’s disease. It’s part of the wave of new therapies using electric impulses to treat certain conditions. The Cleveland Clinic has recognized technology as one of the top innovations for 2013. For patients, the implant procedure to get the almond-size device implanted is almost as easy as a wisdom tooth extraction, Papay said. The device is inserted into a group of nerves, called the sphenopalatine ganglion, situated behind the nasal passages and eye sockets, Papay said. That group of nerves, he said, is actually outside the brain. 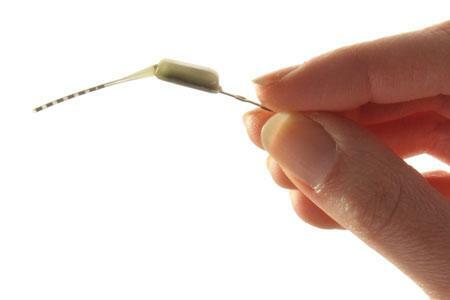 The implanted device has a tiny tail that sits against the nerves. When patients feel headaches coming on, they simply hold a smartphone-sized remote control to their cheek that sends a radio signal to the implanted device. That triggers a slight electrical charge to stimulate nerve cells. Trial data also shows that many patients also experienced a decline in headache frequency. At least one headache specialist doesn’t see relief in store for users of the device just yet. Dr. Seymour Diamond, executive chairman of the National Headache Foundation and founder of the Diamond Headache Clinic in Chicago says he wants to see more testing and trial data before it’s approved. Diamond said he has somewhat more faith in the device for treating migraine headaches, for which he says there have been positive results. Meantime, Dr. Terrence Trentman, a staff physician at the Mayo Clinic’s Scottsdale, Ariz., campus and a specialist in pain management, seemed more accommodating to the technology. “That’s obviously a different approach” than used by doctors at the Mayo Clinic, he added. 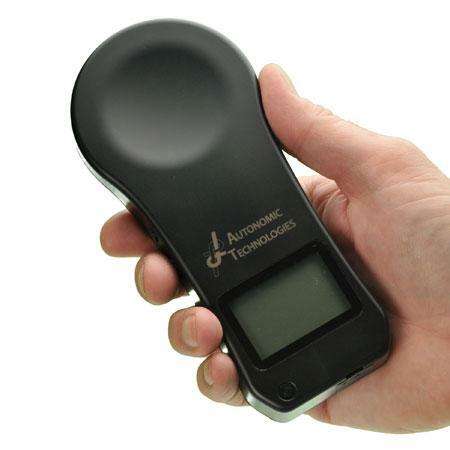 Autonomic Technologies chief executive Ben Pless said the company now has approval to use the device to treat cluster headache patients in Europe. He said he expects European approval for use of the device to treat migraine patients next year. Meantime, the company has met with FDA regulators to discuss testing in the United States. The company says it hopes to make it available for patients here in three years, Pless said, though he recognizes that may be an optimistic forecast. How much the therapy will cost has not been determined, he said. In the U.S., the only therapies currently available and approved by the FDA to treat cluster and migraine headaches involve medication taken by injection, orally or via nasal spray, Pless said. Thus, the market for the device is huge. According to the company, one in eight people suffers from migraine headaches and one in 800 from cluster headaches. This technology “can be transformative in these people’s lives,” Pless said.